Tips for Attending the 2018 Offshore Technology Conference in Houston, TX. 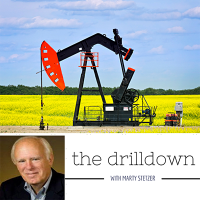 In this episode of ‘The Drill Down’, Marty Stetzer sits down with Michael Deleon, long time media producer for EKT Interactive, to discuss ways in which listeners who may be attending the Offshore Technology Conference (OTC) for the first time get the most out of their experience. Hi everyone, and welcome to the Drill Down with Marty Stetzer. This 12 minute podcast is part of our EKTI Oil and Gas Learning Network, and brought to you by Oil 101, our free introduction to oil and gas. Our subject today is how to get maximum benefit out of visiting the upcoming Offshore Technology Conference – OTC in Houston. Today I’m joined by Michael DeLeon… He has been working with EKTInteractive for the last three years designing and developing high-quality interactive audio and visual education products for our 10,000 member community. I’m getting Michael help to explain how other graduates and folks the industry can come up the curve on how to leverage their OTC visit. Thanks Marty happy to help out..
Can you give our audience a little of your background. Certainly! I’m usually the guy behind the console telling others how to speak, so this should be interesting. My background is in visual communication. I have degrees in both Digital Media and Instructional Design from the University of Houston, which happens to be our hometown. The OTC is a really big deal here; anyone connected to or interested in oil and gas should really check it out. Even for someone like me, it helps to understand the industry better, and let’s me think of ways to apply this knowledge in training and education scenarios. Michael, one of the best learning opportunities in Houston the first week in every May is the OTC. As a mechanical engineer, I think it’s the world’s biggest science fair! My first reaction was, “Where do I begin”! The first thing I noticed was how much technology is used at the vendor booths; multi-display videos, interactive screens, VR, augmented reality, even gaming. There are lots of interesting and creative ways being used to capture the audience’s attention. It’s awesome, but can also be very overwhelming on first sight. So Marty, how about some help? If this is the first OTC for our listener, what are some clues to make their first time at the event productive? The first clue is to have an objective. If you go there without one, you’re just blown away by the hundreds and hundreds of booths, each one trying harder than the other to sell you and explain what they’re doing. There’s no way that a first-timer can get much out of it without making a list of target companies that you want to see. There is a free map when you register. Mark out the location of the target company booths on the map. Figure out a inefficient path so you’re not zigzagging all over the place. But what do I look for?? If you’ve seen the movie “BP Horizon”… You might want to visit Halliburton to learn what cementing is really all about, Cameron to see a real live BOP or Transocean to learn more about drilling rigs . Another way is to pick a Houston company name you have seen in the Chronicle or heard on TV or the radio… Like Schlumberger, Baker Hughes or GE oil and gas. You can also learn a lot by looking for the Spotlight Award winners – listed on the OTC website. This award recognizes the best technology inventions of the past year. Engineering graduates see how their classroom studies get translated into real iron and the latest technologies… Even though it’s primarily in oil and gas conference, you’ll find innovations by mechanical, electrical and chemical engineers and especially IT experts – not just petroleum engineers or geologists. There are some things to see and learn, no matter what your interest is. Your media background is different. As you visit any of the booths – note how they communicate their winning idea (both visually and graphically), how it works, and what the benefit is. A good test is how big the audience is in front of the booth – follow the crowds! The need for clear and interesting communication of these technical messages is a booming industry in Houston. Marty, for our listeners, what else is available at the OTC. Over 350 technical papers will be presented, often in panels, on the second floor of NRG Center. The papers are peer reviewed and professionally delivered. They are sponsored by technical societies, like SPE, Society of Chemical Engineers, and many others. In addition to the booth, awards, and tech papers, there’s a series of breakfasts and luncheons. They cover quite a wide variety of topics…many that you might not think would be at an oil & gas event. You can learn about process safety management prevalent in the Chemical industry and new offshore wind farms. In our case… EKT interactive has established a solid reputation in podcasts dealing with oilfield digitization technologies like AI, machine learning, edge and cloud computing. So, I will be attending Monday to listen to two offshore digitization case studies. Marty any clues on logistics? First, wear really strong shoes or your cowboy boots, because no matter how well I lay out a plan I always end up doubling back and tripling back. Sure… As a reminder this year the OTC is at the NRG Complex, and runs from Monday April 30 – to Thursday May 3. As a student with a university ID your cost to attend is only $25 per day. Or try for one of the free complimentary passes. Finally, do not drive to the OTC. No matter what they tell you or what time you go. Even if you’re there at 7:00 in the morning, you can end up parked in the boondocks. The best way to go to the OTC is to park anywhere near the line and take the Metro train. Awesome I’ve use the train when I lived on the east side…. Works great. It’s a 4 day program. Over the years, I’ve learned from my buddies that there are good days and not so good days if you’re new to the OTC. Monday once is good because everyone is fresh. They vendors have their best people on the booth and everyone seems pumped! If you’re going to see the Spotlight Award booths, you’ll get the sharpest individuals to give any needed explanations on Monday. Tuesday is really crowded because a lot of the folks come in from Louisiana. After hitting their office they fly over on Monday evening and show up Tuesday morning. Tuesday is usually a mob scene! Wednesday’s also a good day, but some of the booth presenters seem to run out of gas….like I did when I had a booth at trade shows. Thursday is interesting. Part of the event is set aside for what the OTC calls its Energy Education Institute. The Institute conducts two events – one for high school students and another for all grade level teachers. This student workshop is hands-on and not only a lot of fun for the students, but incredibly educational. Students learn how to interpret data, a fundamental skill for engineers. The Institute also welcomes science teachers. Attendees receive hands-on training in presentations by qualified facilitators, and tour the OTC hall. Teachers then receive a variety of free instructional materials to take back to their classrooms. Thanks Marty that was a good summary I hope to make it to OTC. If you there on Monday I look forward to seeing you there. If you’re interested go to www.otc.org, and start planning your trip – before you head to the event. Pick out the vendors booths and papers you might want to see or hear. The breakfasts and the luncheons are extra money, but you’ll hear firsthand what’s going on from industry veterans. This is the 50th anniversary of the OTC and with the crude prices recovered to the $70 level… You could see offshore and deepwater activity come alive over the next couple years. Thanks for listening and thanks for your help Michael.